By omitting front points, and combining low weight with 8 pairs of extremely effective points we have achieved an unusually high level of comfort and efficiency. 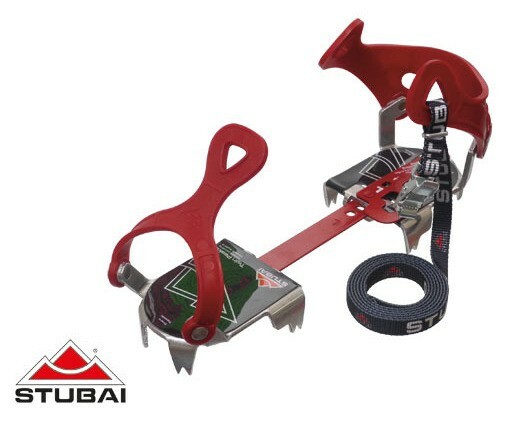 Even totally inexperienced users, who feel unstable in other models, or who find front points hazardous, will have no problems at all with the STUBAI TWIN PEAKS LIGHT. In fact, anyone who doesn’t feel the need to climb sheer ice faces will appreciate the quality of these crampons; whether you’re a mountaineer, a hunter, or a labourer. Let´s face it – we all want more space and less weight in our backpacks, and more energy! 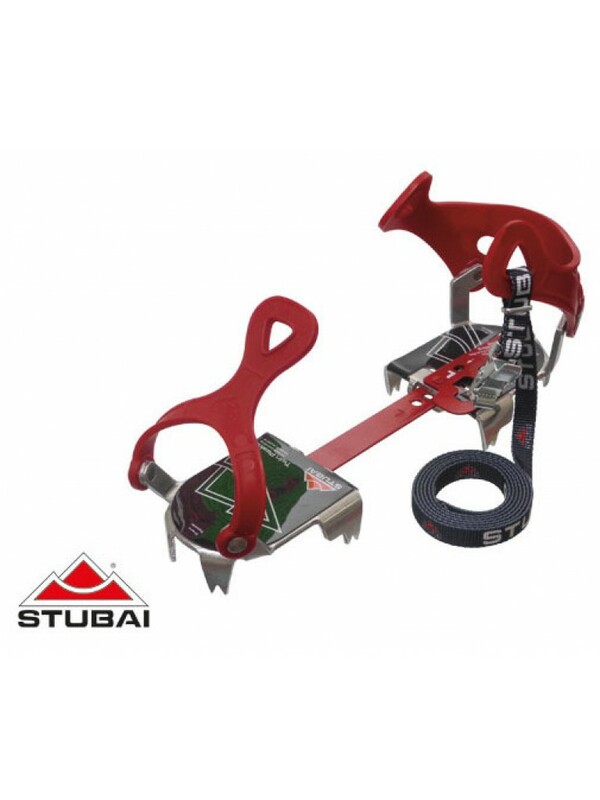 With integrated STUBAI STICK-ON anti-balling system! The mounted plastic moulded binding can be used with practically any shoe, although we obviously recommend the use of mountain boots.